after the world of pain i've just been though after my Ph3 RF Key lost sync with the transponder I thought I'd share what I discovered and put my findings here so that they may be of use to others in my situation! the ph3 keys apparently lose their sync if the battery within the fob starts to die you only have a limited time to change it so if you notice this and want to avoid the hassle i've just been through change this immediately and you might be spared all this! there is apparently a way to Re-Sync your key to the transponder though the DID NOT work for me despite trying it over 30 times! PH1-2 LED and Ph3 Radio Frequency (RF) Methods Differ! and a kit like this! I paid £47.50 for mine delivered and came with everything pictured but you only actually need the things highlighted from this kit! once you have your software installed and you ready to go I followed Nialls Tut on PP2000 follow along carefully! Peugeot planet is a powerful dealer level tool used for diagnostics, programming and live data read outs for peugeots. The same hard wear is also used for Citroen and the software is exactly the same but you need to install the Citroen one due to different models and build codes. Generally the hardware and software Peugeot use costs several thousands but a nice company in the far east has replicated the hardware. Don't be alarmed. These replicas arnt like the typical elm327s you find on eBay. They are very hard wearing and I've never heard of one giving up yet! You can pick up the basic hardware and software for between £90 £130. There are also extra leads to connect to old non-obd compliant cars but this won't apply to us 306 owners. Peugeot planet only works on windows computers and kicks up a bit of a fuss if it's on anything but XP but I'm sure the computer geeks out there can work around this if needs be! Installing the software is fairly straight forward and it normally comes with a guide on how to use the keygen. Firstly, we need a car! This guide is based on my 2000 ph3 but it should mostly be the same for other phases. 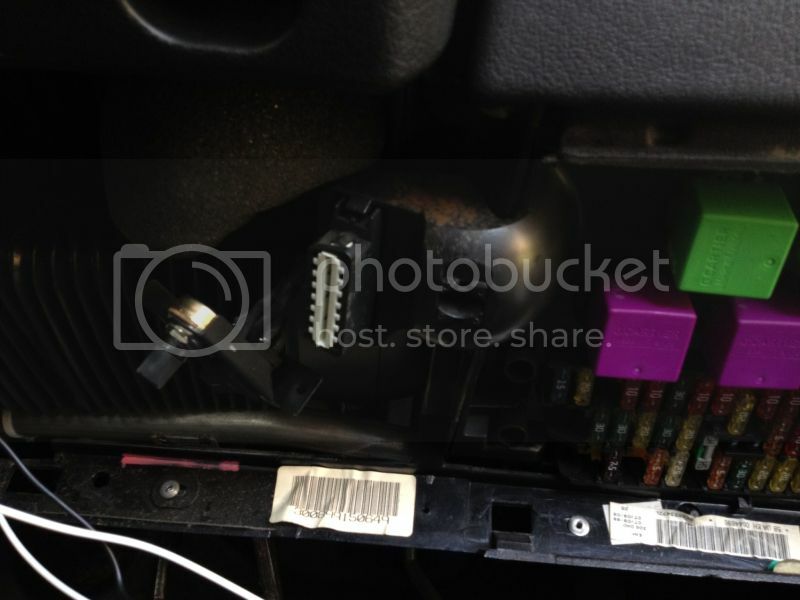 The diagnostic socket is located below the steering wheel as in the picture below. It's a 16 pin socket and is the same as on all cars. This is a regulation of being obd compliant which all petrol cars after 2000, and all diesel cars after 2003 have to be to comply with EU standards. Once the software is installed, you will want to open it and have a play. Few things to not first. 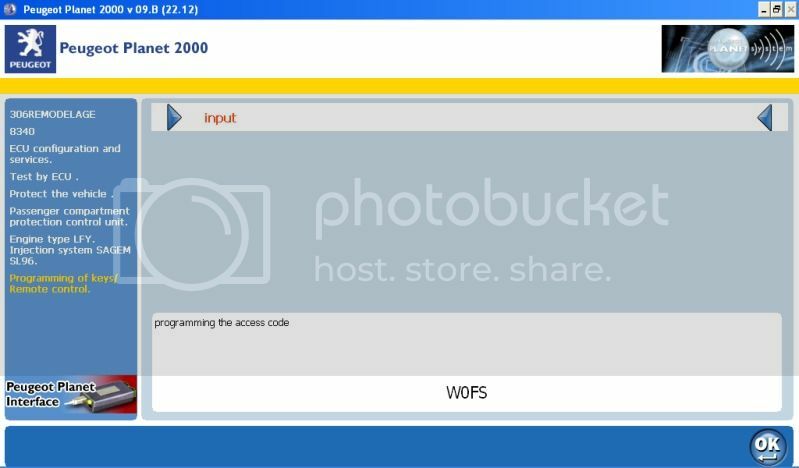 Firstly, You will be presented with a error message if the pp2000 hardware is not connected to the computer and the software will automatically close. Secondly, you may also get a small error advising you on an upgrade for Firefox. 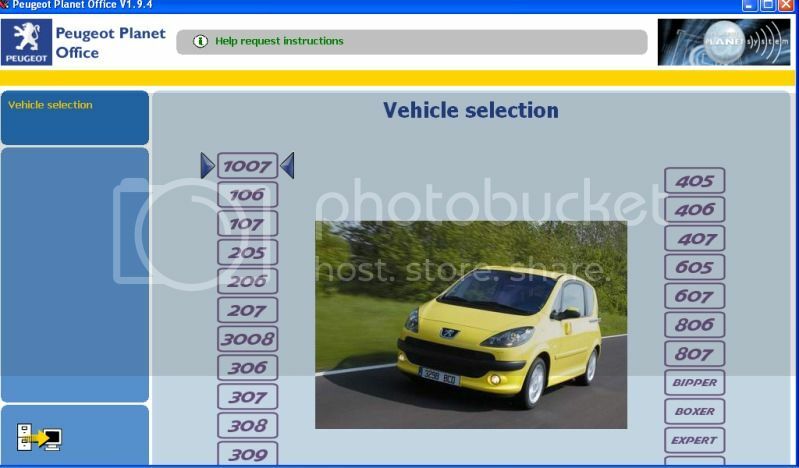 You can either find the way of getting rid of this (there's a guide on Peugeot Forums) or you can just accept it and continue. Lastly, once the software boots, you will be asked if you want to check for updates. The answer is no! I you do, it will connect to peugeots servers and more than likely kick you out. Unfortunately because I'm using a s**tty litte netbook, the bottom part of this screen is cut off but there's nothing important there other than a few more models which you can scroll down to with the keys. General navigation is done with the keyboard. Arrow keys are pretty self explanatitory. The rest is done with F keys which are detailed at the bottom of the page depending on what is required from you. Either way there labeled and self explanatory. We have 2 selections: 306 and 306R. Remember this is mostly a direct translation from French and the frogs liked to call the ph2/3 306 remodalage. I've got a ph3 so have selected this option. I'm sure ph1 is the same but I suspect connection to the car is different. The only one we are interested in is Peugeot planet 2000. Wiring diagrams are cloud based so if you select this, you will just get a error 500 iirc. Planet measure needs seperate hardware which I have yet to find a copy. Every Peugeot is supplied with a build close. This changes throughout cars as they are built. 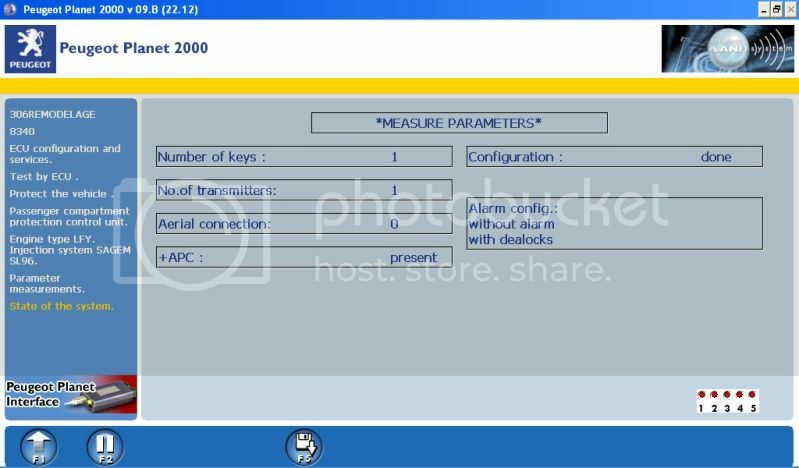 It's basically an identification which tells Peugeot planet what hardware you have on your car and other Info such as engine, spec, model ect. You will also find this in service box as a RPO number. 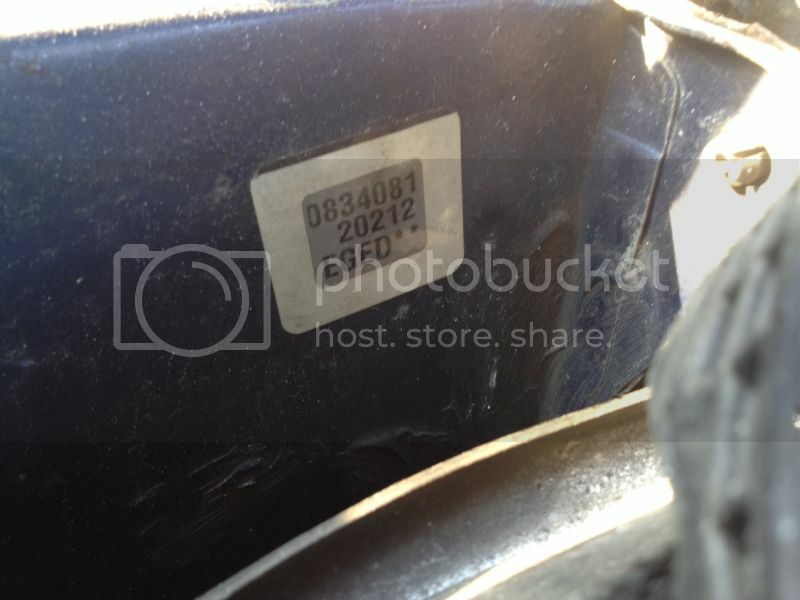 Handy to know as you may look for a part for your car and find that it says 'since RPO XXXX' or 'after RPO XXXX'. 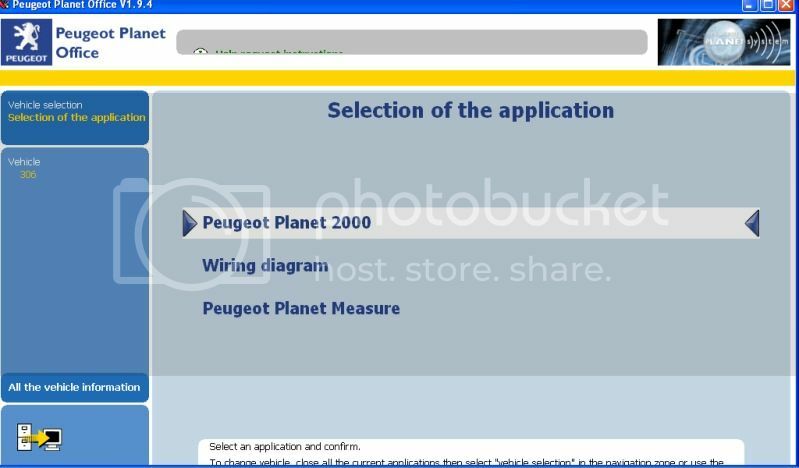 Locating the build code on the 306 is fairly easy and is in 2 positions but as you can see, Peugeot planet only shows 1. 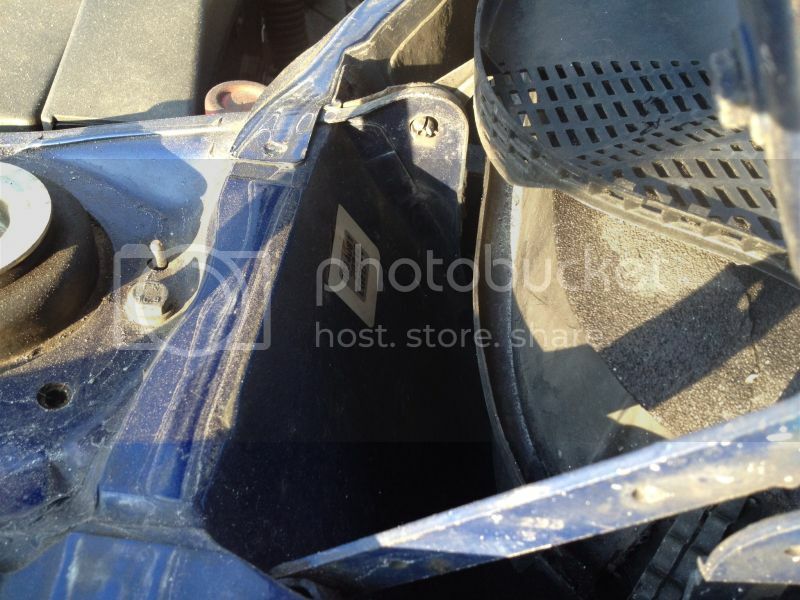 The image shows a sticker in the door shut. Sometimes they are there but I've found they are mostly on the back of the near side suspension turret like so. This sticker also details your paint code if you ever wondered where that was! What part is my build code? The build code is 4 digits long and is on the top line of the sticker. It's the 2nd to 5th numbers. As you can see, mine is 8340. As you can see, we have 4 options. Consultation - this is basically a listed diagnostics and doesn't actually write/read to the car at all. It goes through a series of options to try and troubleshoot your particular problem however it's rather limited. Has come in handy but there is a lot more Information on this forum! 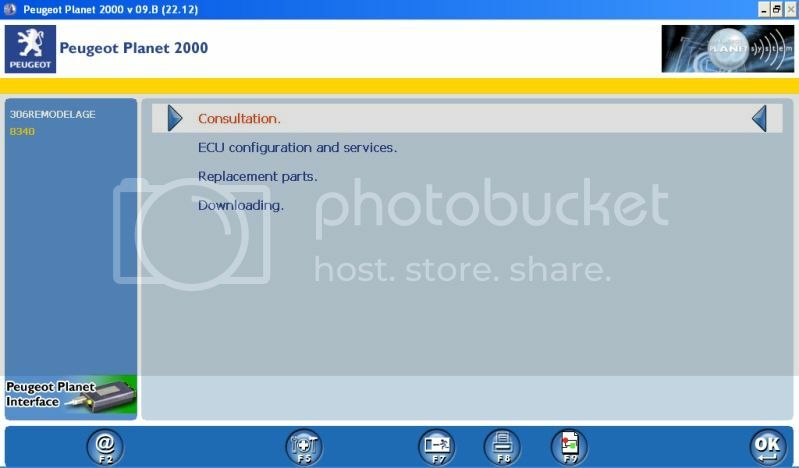 ECU Configuration and services - this is where the business happens! The first page you will be presented with here will give you two options. Global test and ecu test. We will go Into these in detail a bit later on. Replacement parts - you will rarely, if ever use this! 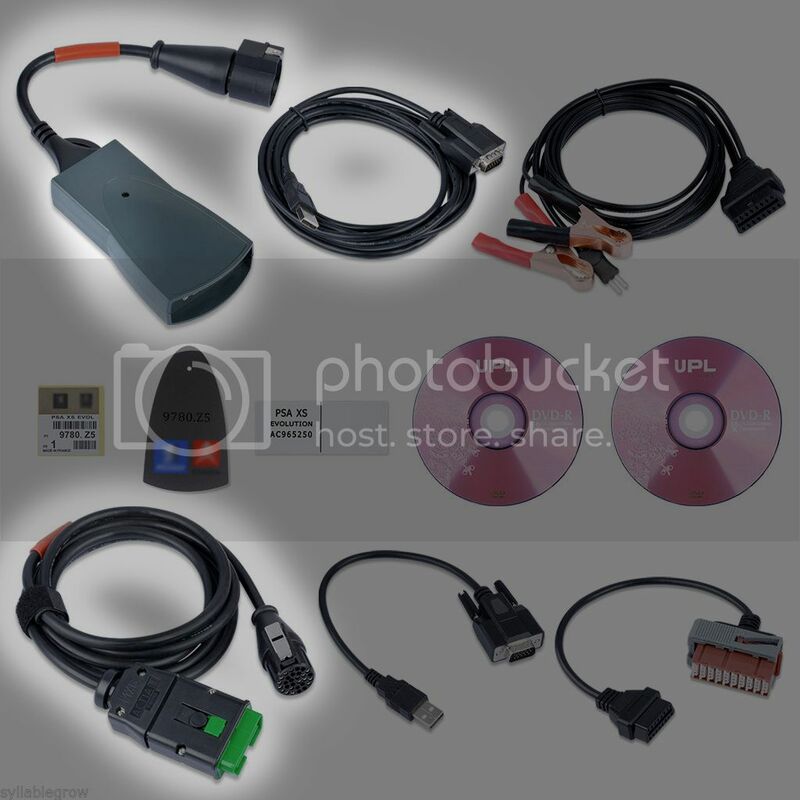 This is where you configure the car for replacement parts for instances where ECU fails or BSI fails. This saves a lot of money. A common problem with the 1.8 is that the coil pack can fry the ecu meaning you have to buy a new ecu with matching transponder and BSI. With Peugeot planet, you only need to buy the ecu as you can program it to your BSI and key. Also works the other way. Downloading - never used! This is where you can download an updated map for your ECU/BSI from the Peugeot servers to fix faults and glitches in the software. 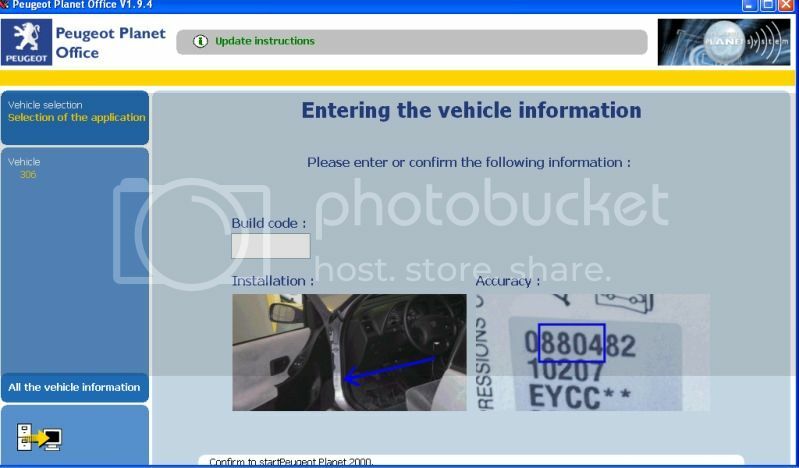 This is the only feature we can't use because it connects to the Peugeot server with your car details and the user details of PP. as soon as it realises your using a cracked version of PP, it will lock you out. I know it's not first on the list but it's most important so will go into this one first. 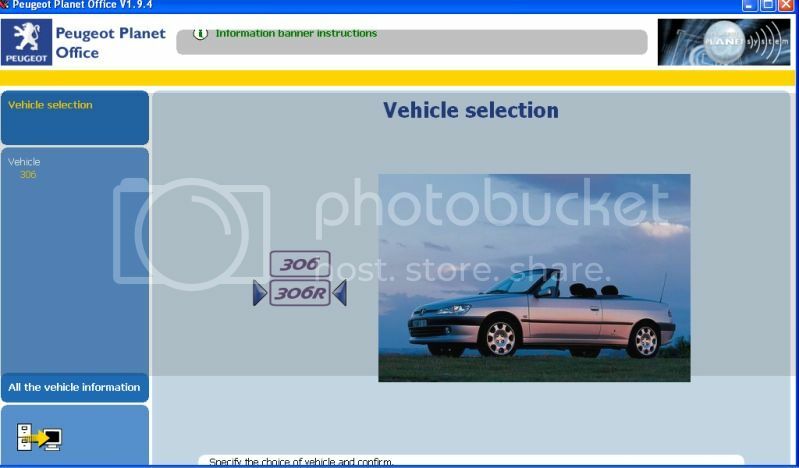 Global test - this scans all computers on the car for faults and typically takes 30 seconds to 2 minutes. It will show you a run down of what it's doing (will get screen shot soon) as it does it. 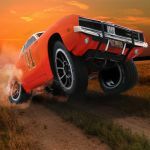 Note: it will fail to read a few ECUs if you get your build code wrong so make sure it's right! Test by ECU - as it suggests, instead of testing all, you can just scan 1 depending on what your doing. This is a bit more tricky as with the ECU and BSI, you need to tell it what model you have. If you know your car Inside out like me, this isn't a problem. Select the unit you want to scan, select the model (with abs, airbags and climate control you will only get 1 model available) and away you go. Obviously before you start scanning, connect the interface to the car. The software will prompt you to do this every time it needs to read/write. As said earlier, global test tests everything in the car. It will take anywhere from 30 seconds to 3 minutes to scan through everything. As you can see I've got faults on both the BSI and ECU. I will go into these later. Note: the test may say that some items did not respond. Don't panic if this does happen, just test again. Once it's reached 100%, you will then have the option to select any of the items from the list. I'll start from the top! The BSI controls various things throughout the car. On the 306, it controls central locking, alarm, immobilisation of the engine and interior lighting. On the 306 there isn't many options here. You can test all the locks, see how many keys and transmitters are programmed as well as program new keys and transmitters. As you can see, I only have one key for my car. Don't be alarmed if yours shows this but you actually have 2 working keys. The BSI works by logging the unique code of individual transponder chips. 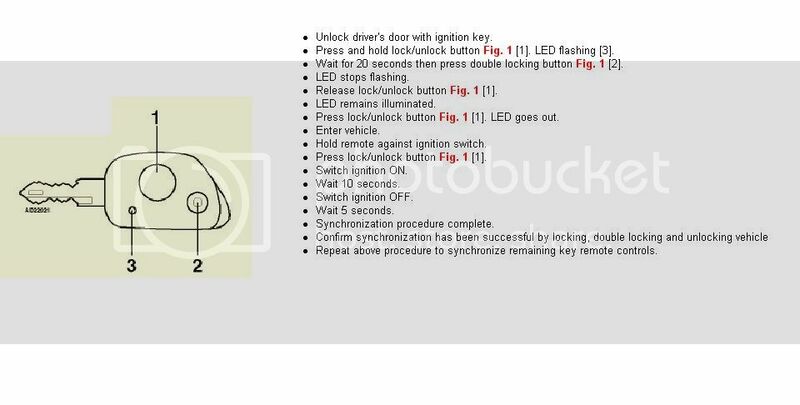 You will find that a lot of auto locksmiths when programming a new key will copy the code from your remaining transponder and write it to a new one so you end up with two transponder chips with exactly the same code. The BSI obviously only sees 1 code so only thinks there's one key. This can be a problem later because if you loose a key, you can't program out a key without having the other stop working as well. PP has the ability to remove working keys and add new ones. The BSI sees the key as two items effectively. One is the transponder chip (allows the car to start) and the other is the central locking chip which works the locks. When programming the keys, you have to program both aspects separately. Note: if you think of the key as two separate units rather than just a key, it will make this much easier to understand! The security code is a 4 character code found on a credit card size piece of paper with all your car manuals and history. Now then because most 306s are over 10 years old, the chances are you don't have this! You have two options. You can go to a Peugeot dealers and pay them 20 of your hard earned pounds to retrieve the code and print it onto a pretty bit of card. Alternatively, you can contact this guy http://www.peugeotcodes.com and for the grand sum of £22.99, he will fetch your code for you. Note: if your car has ever had the ECU changed with matching BSI, you will need to give the vin of the donor car. If you try it with yours, it won't work! Enter your 4 character key code (all in capitals otherwise it won't appear) and hit enter. It will ask you to confirm. Double check the code and confirm if right. Next, it will ask you how many transmitters you want to program (remember, the transmitter operates the central locking, not the starting). Enter the number (max 5) and hit enter. It will then say 'press button on remote 1'. Press either button on remote 1 and if successful, it will skip to 2 and so on till there all done. Note: why wouldn't it be successful? Well really when programming a new transmitter, it has to be new. If its been programmed to a car, generally it can't be programmed to another. Sometimes it works but don't hold your breath! Next it will ask you how many keys you want to program (transponder chips - the chip that allows the car to start). Select the amount of keys you wish to program (again, maximum of 5) and hit enter. 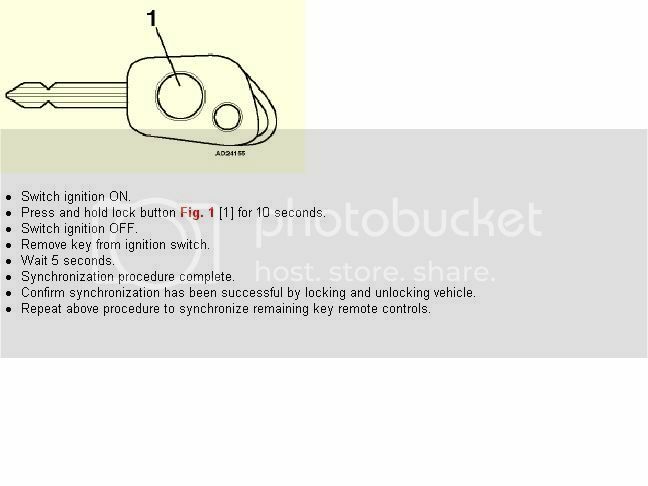 It will ask you to switch off and start the car with the key that is in the ignition (key 1). As soon as you start it it will ok it and ask you to switch the car off and put the second key in the ignition. Start with the second key and once again it will do it as soon as you start the car. Keep going through this process till all keys are programmed. Done? Good exit back out to the BSI menu and select parameter measurement. Shut down PP, disconnect from the car and try all your keys!" I have hosted the images else where so that this tut isnt lost if they are removed from the original source! Hey nice instructions, better just change my battery now to avoid any future problems. 8 years ago I bought Lexia 3 for nearly £500!. Still working though.